Today only at Old Navy you stock up on shorts for the family! 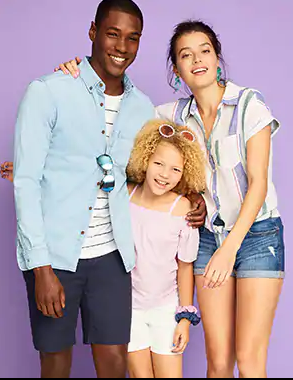 Select Kid's shorts are just $7 and select adult's shorts are just $8 plus enjoy Free Shipping on orders of $50 or more. Also save up to 50% off all Dresses, Jeans, Tops and other shorts styles!